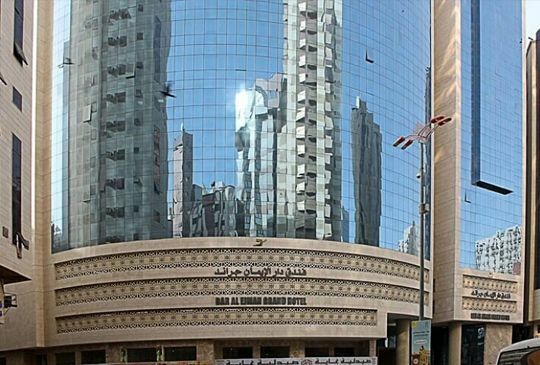 Located in Mecca, Dar Al Eiman Al Khalil Hotel features simply furnished accommodations. It is a 2-minute drive away from the holy Masjid-Al-Haram.All rooms feature printed carpeted floors. Each unit offers a seating area with a flat-screen TV and a minibar. The bathroom is fitted with a shower.Al Azizia District is a 10-minute drive and King Abdul Aziz Jeddah Airport is 75 minutes away by car.